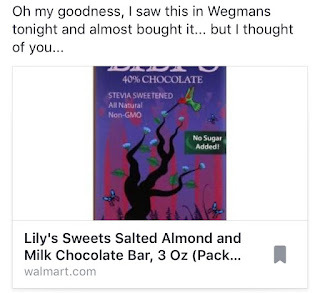 My friend Anna let me know on Facebook that she thought of me when she saw some Lily's Chocolate at Wegmans recently. 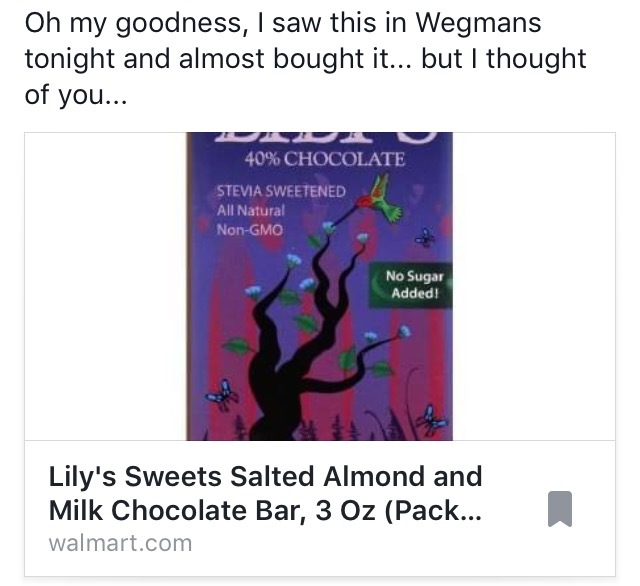 :) I told her she should try some because it's yummy. My friend Bonnie has sent me some before in the mail. And another friend noticed some in a store and pointed it out to me.